I watched Journey of Man by Spencer Wells recently via YouTube. Wells presents the argument that humankind originated in Africa. Through his study of genetics, he was able to trace human genes back to the San Bushmen in Africa. Basically, these Africans have all of the genetic markers that are shared by all people around the world. Thus, all people came from this group. This was an eye-opening documentary because it gave credence to what I had heard from other so called scientists — that all mankind started in Africa. His approach was better however. For me, I believe what he says because he’s white! Also, he did the research with Stanford University researchers. Nevertheless, the black so-called scientists who are prevalent on YouTube just didn’t have the gravitas that Spencer Wells has for me to find them credible. For instance, do you believe the man speaking at the low lite conference hall whose video was recorded on High-8 or the scientist who is backed by some of the biggest names in academia and presents his studies’ results in a professionally produced video? Enough said. I’m done. His research is definitive. Man came from Africa. I finally have evidence. Now, I want to say something about the Aurora, Colorado shooting. I am starting to believe that there is something very fishy with this incident. Why is James Holmes so drowsy in the courtroom? Why does he look ‘out of it’? Could it be that he’s been drugged? Also, the coincidences between Lil’ Wayne’s video My Homies Still and the events that transpired in Aurora are just too close to be a coincidence. As far as I know, it wasn’t lil Wayne who decided on the concept for this video. Therefore, it was someone more powerful who told him the concept for his video. He just went with it. Anyhow, that the video shows skeletons in a theater as well as numerous symbols that reflect religion and the occult, I tend to believe coincidence is not the answer. Someone knew what they were doing when they filmed that video and released it just days before the Aurora shooting. After watching the movie, Zeitgeist, as well as numerous other conspiracy Theorist videos on YouTube, I have come to conclusion that people are always up to something. In America, everyone is working to shift opinion and change minds. For instance, look at how dynamic black entertainers are. New dances are created every year. A new trend is developed and people latch on to it. Why wouldn’t a movie producer, video director, political party, or secret society create something new for people to fear? In my opinion, September 11th was the design of the Bush Administration. Al Qaeda as a network of sophisticated intelligent terrorist groups doesn’t exist. Instead, the worst terrorists are on American soil — the FBI, CIA, Federal Reserve Bank, Corporations like Coke, McDonald’s and the forces that protect them — National Guard, Air Force, Army, Navy, and local police departments around the nation. 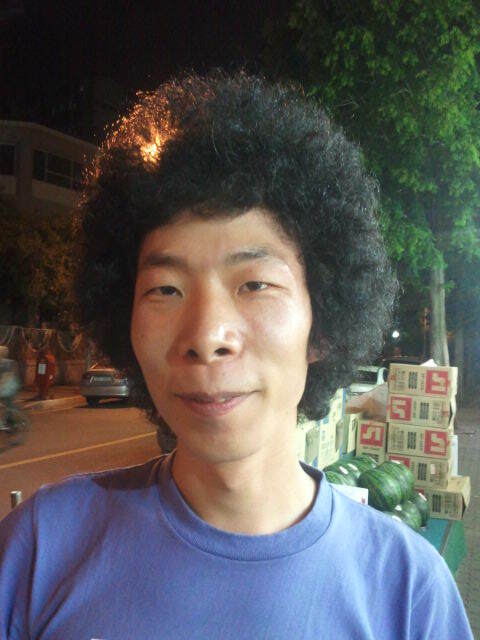 Lastly, I have to show you a picture of a Korean dude with a Natural….